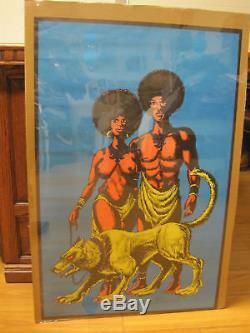 ORIGINAL 1970's "war lords" Black light poster in NOS unused condition. These were the days growing up at this time was wonderful. Own a piece of history and bring back those days every time you think back. GUARANTEED to be from the era. Paper has brown tint from the years, stored with other fine sister posters which we will soon be offering. We thank you for your time. The item "Vintage war lords 70's Black light Poster original10690" is in sale since Thursday, October 8, 2015. This item is in the category "Art\Art Posters". The seller is "toysandjeans" and is located in Covina, California. This item can be shipped worldwide.